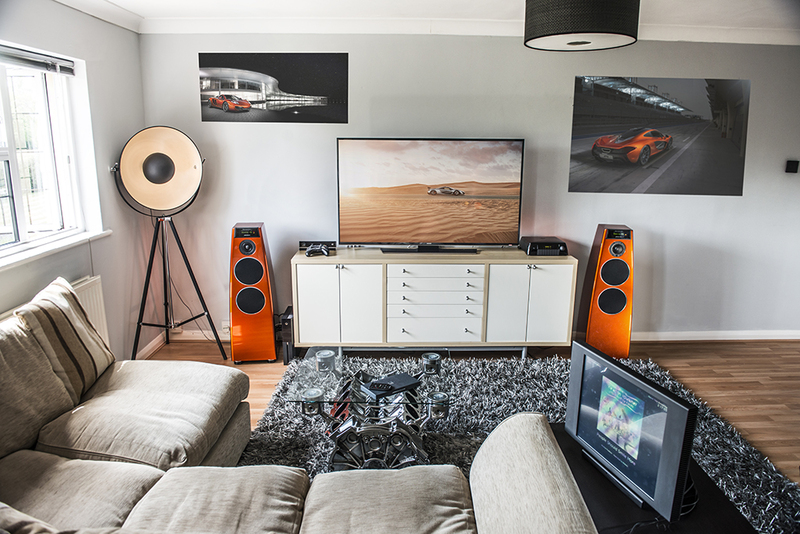 When I was at university I started to get interested in home cinema setups and more specifically the audio side of things, I realised that a decent set of speakers with an amp could transform the experience you had when watching a film or simply relaxing listening to music. Come forward a few years and my old setup from university was looking a little tired so it was time to upgrade. I really wanted a top end system which had wow factor and during my research I came across a company called Meridian Audio. 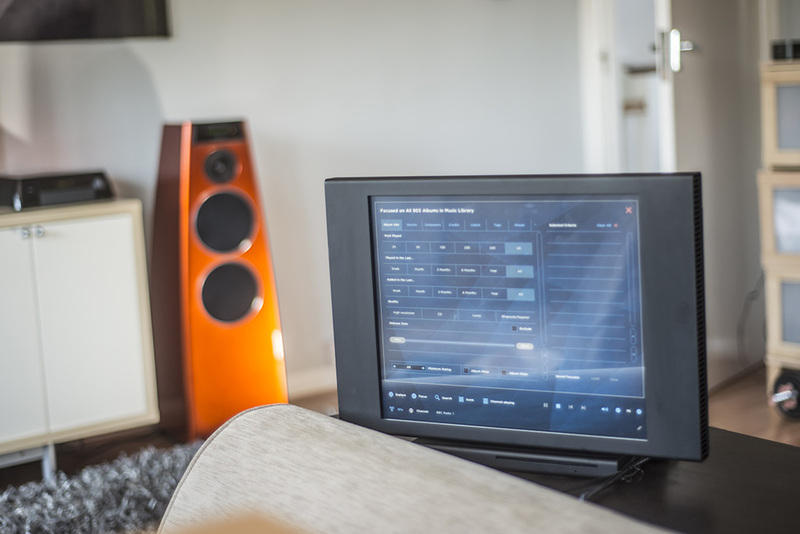 Meridian are the innovators of digital loudspeakers and they have an amplifier for every drive unit in the loudspeaker which really is a very clever way of doing things. There are many benefits to this, such as not getting interference in the wires between the amplifier and speakers that you’d normally get, but the reality of the matter which is what matters to me is that they sound really bloody good! 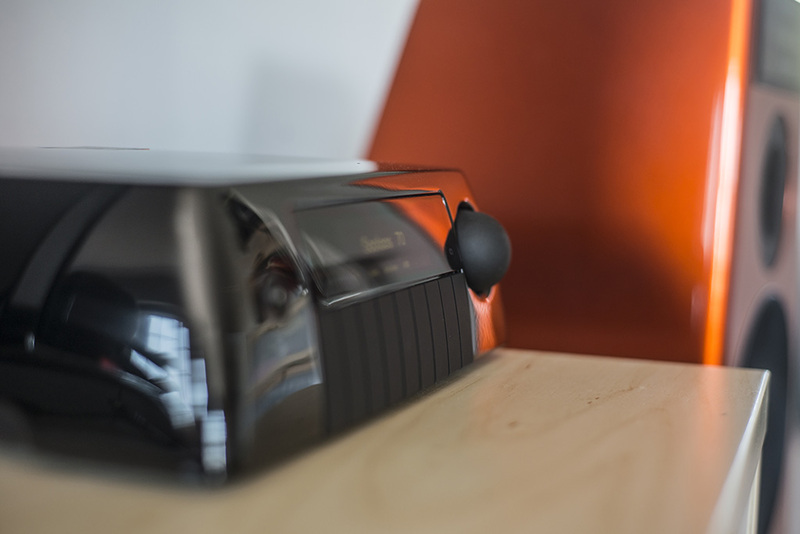 2014 celebrates 25 years since the first digital loudspeaker and to celebrate they’ve released a range of Special Edition speakers. I decided that the DSP5200 SE were the ones for me as I don’t often turn the volume up to too high a level so for my personal use there was no need to go for any larger loudspeakers such as the DSP7200 or DSP8000 which sit above mine in the range offering both more volume and a hard to believe more realistic sound still. First of all, I’ll show you my favourite bit of the setup, the loudspeakers! 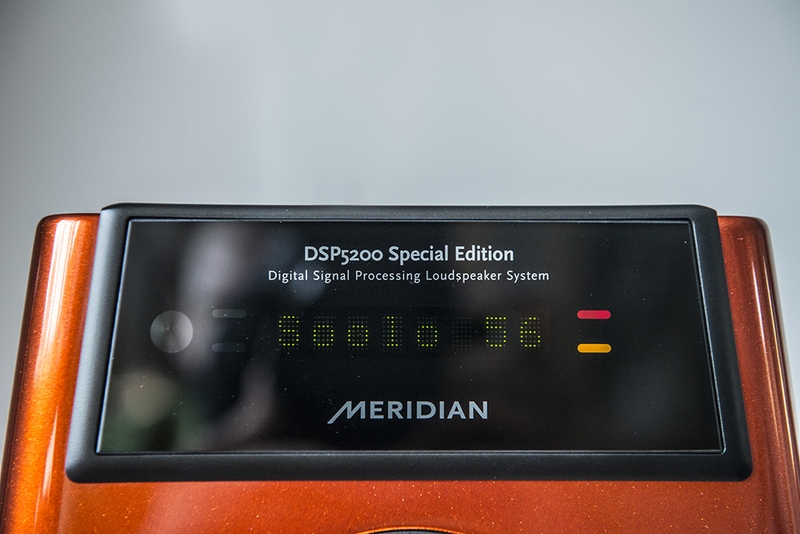 Meridian DSP5200 Special Editions in a unique McLaren Volcano Orange. Next up is the Audio Core 200. 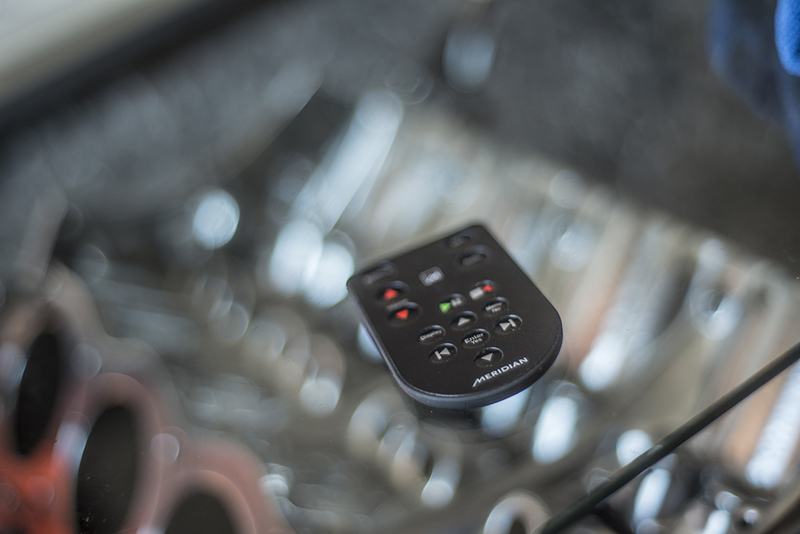 This, is effectively a control unit to control what source you want to listen to and send the signal (using cat 5 cables for the nerds) to the speakers. My sources which input to the Audio Core 200 are the Xbox One and TV from two optical cables and the Sooloos using another cat 5 cable. I had the choice of black or white for the Audio Core 200 and went for black as eventually I’ll probably put it inside a cabinet hidden out of the way so want it to be discreet. Next up is the Meridian Control 15 Sooloos. The part of the system which really completes it! 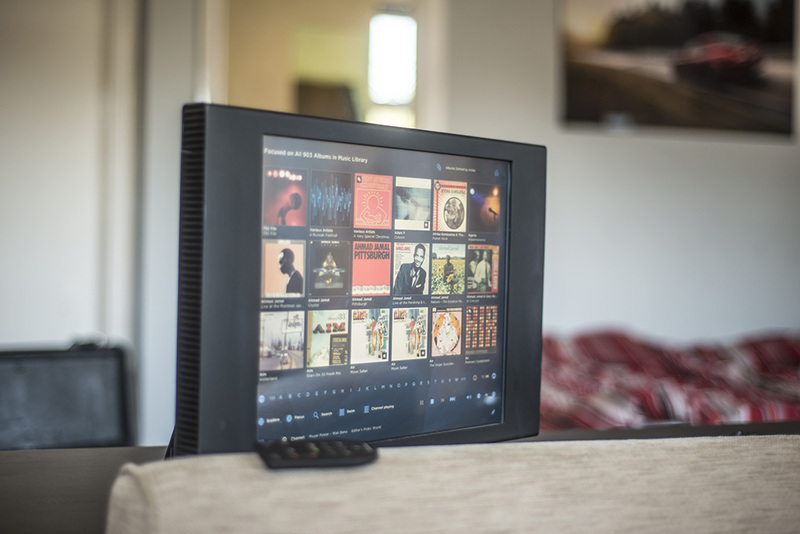 The Sooloos is a lovely 17″ touchscreen HiFi system which lets you find and play music more easily than you can imagine. It can store thousands of CDs on it’s hard drive which it then sorts so you can find what you want to listen to in seconds even when you don’t really know what you want to listen to. You can also stream music you don’t have on CDs from the built in Napster which is surprisingly high quality and you can listen to internet radio through it. 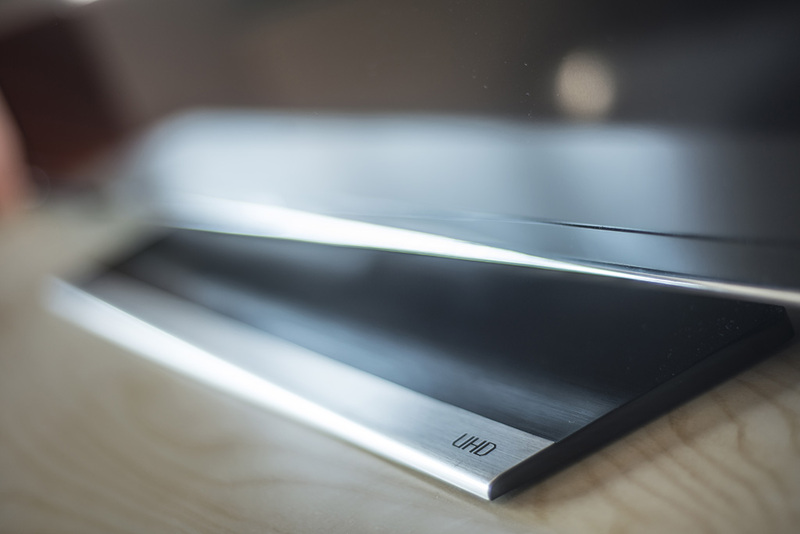 Last of all in the system is the Xbox one and 55″ Samsung UHD TV. When you’ve got the best of High Definition Audio it made sense to get a lovely high resolution TV too! It’s quite difficult to put into words how good a system this is now. If you’re into your audio I highly suggest that you drop into one of the Meridian Boutiques and ask for a demo. It’s how I first experienced the setup I now own. Be warned though, if you listen to them you will want to buy them, they’re the best!